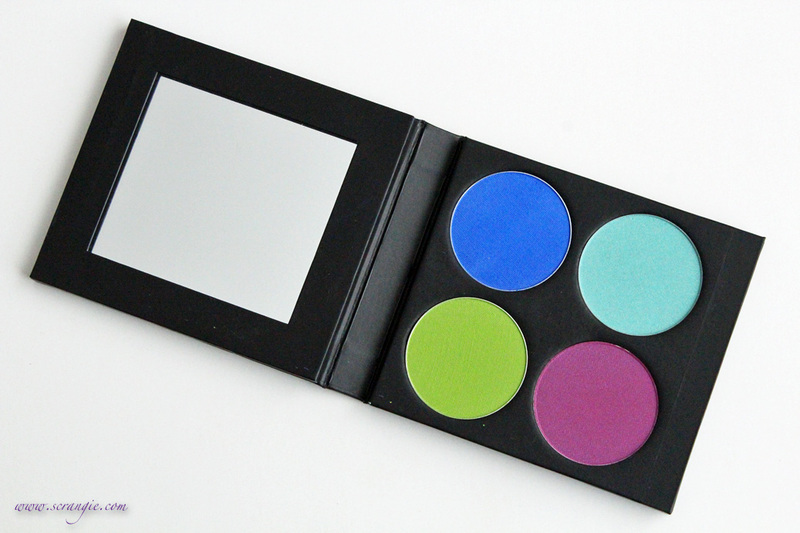 Sugarpill recently released a brand new eyeshadow palette and it's freaking amazing. I have the other two and I love them, but wow, this one takes it to a whole new level. The palette is called Heart Breaker and it's available either as this four-pan palette I'm reviewing here, or as individual shadow singles. 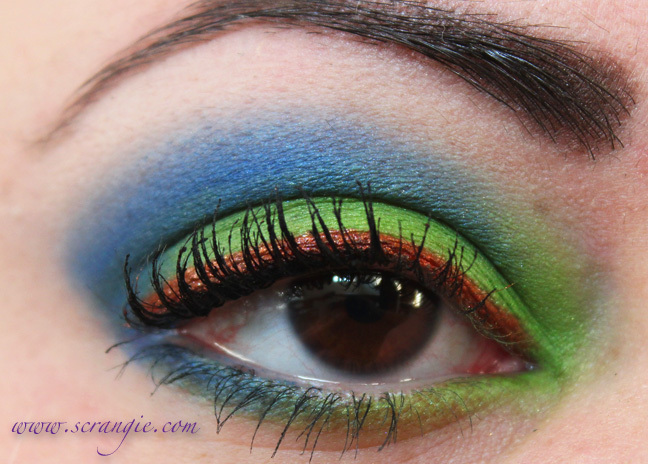 Look using Sugarpill Acidberry and Velocity. 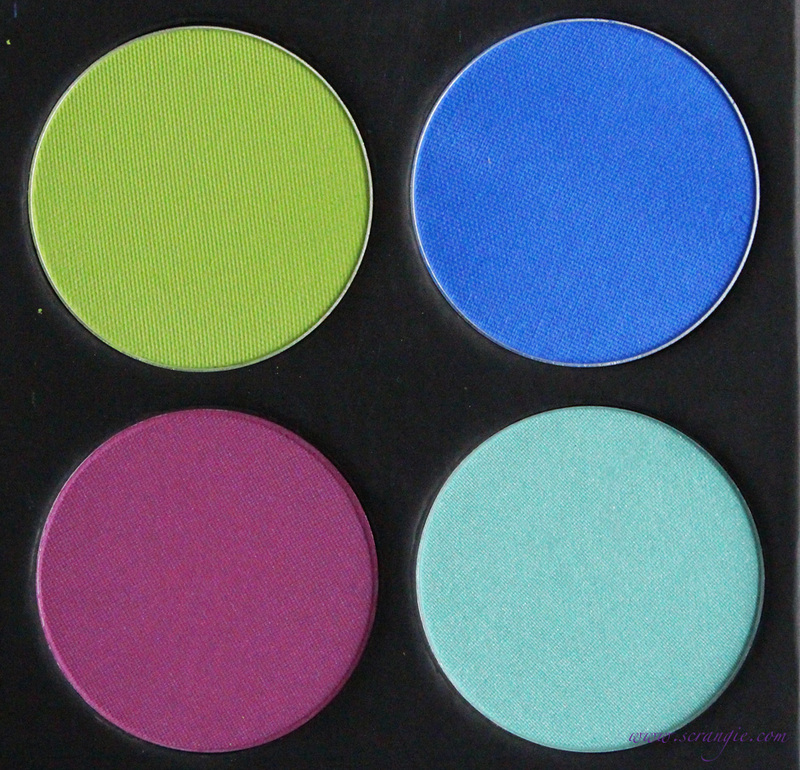 The shadow formula is silky and pigmented without being too hard, chalky or powdery. The texture on these seems even better than the previous two palettes. 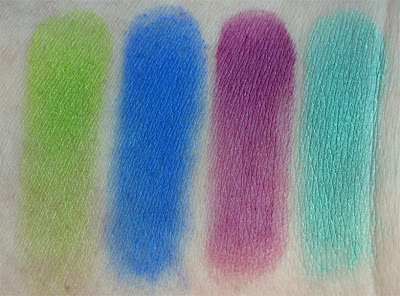 Seriously, the pigmentation on these is amazing. The colors are not your standard bright shades and they look bold and interesting on the eyes. The packaging is top-notch. The bright colors, the artwork and design, the sturdy construction, the thorough labeling, everything about it is perfect. So inexpensive for such a good product. The entire palette is only $34 and the shadows are giant. Acidberry tends to fade/lose intensity by the end of the day unless I apply it over a white base. 2AM sometimes becomes streaky/patchy when blending it. I don't know if it's because of my primer or the color itself, but it seems like it doesn't adhere evenly to the skin. I have this problem with all matte purples, though. 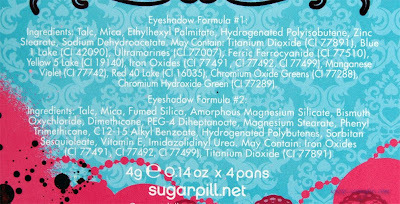 Sugarpill's palettes are so good that they always seem to be sold out on the website. You may need to follow them on Facebook to know when they'll restock each time. You know, I was thinking the other day that the top half of the palette reminds me of a better version of the NARS Rated R duo. 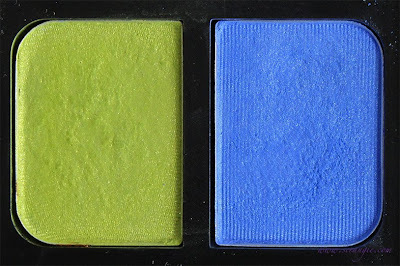 It was the first NARS duo I ever bought and I've never been happy with the pigmentation, application, blendability or staying power of it, but I never returned it because I love the colors. Acidberry and Velocity aren't exact matches for the Rated R shadows, but they're close enough and about a million times better. 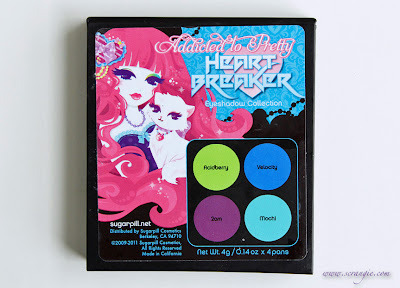 The Sugarpill Heart Breaker palette is available directly from Sugarpill's website. It retails for $34 and is not limited edition (yay!). Make Up Geek has great customer service and they ship SUPER fast. Make Up Geek has great customer service and SUPER fast shipping. These sugarpill shadows are gorgeous. 2am blends great for me, unlike Poison Plum. 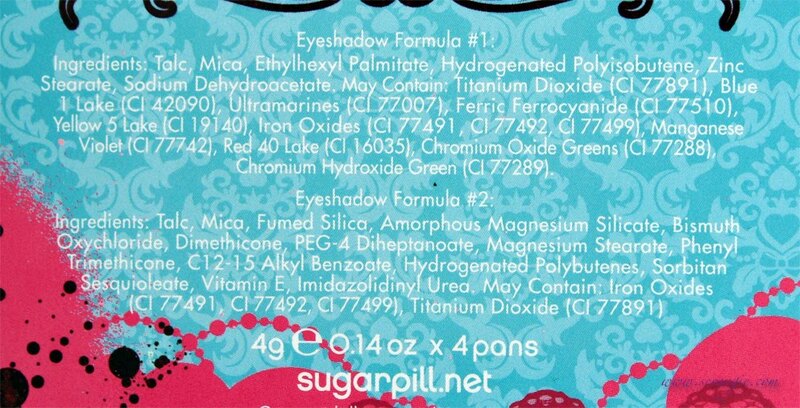 I use the original Too Faced Shadow Insurance primer. Same here. 2AM is easier for me, but I still have to be careful with it or else I get the streaks. I still love both colors, though! I've only tried the Chromalusts so far and I love them. I covet the palettes. Hey have you seen ivardensphere, w.a.s.t.e and adversary on tour this summer? it was freaking amazing! 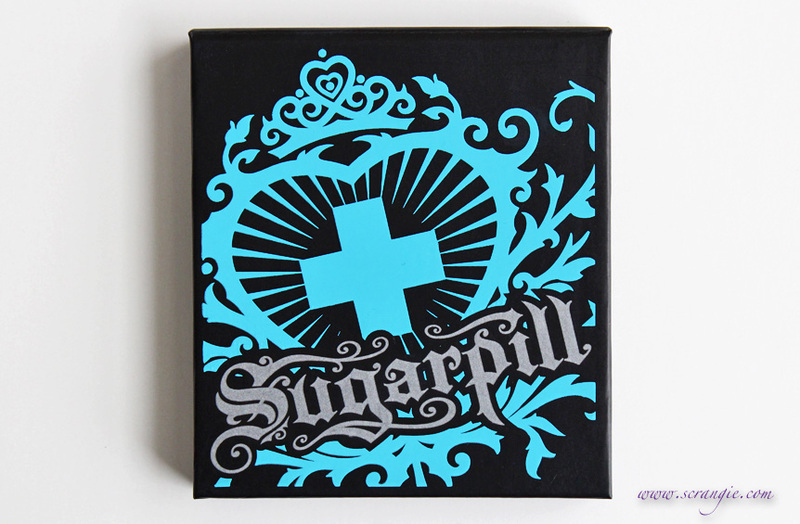 I'm so hooked on sugarpill. 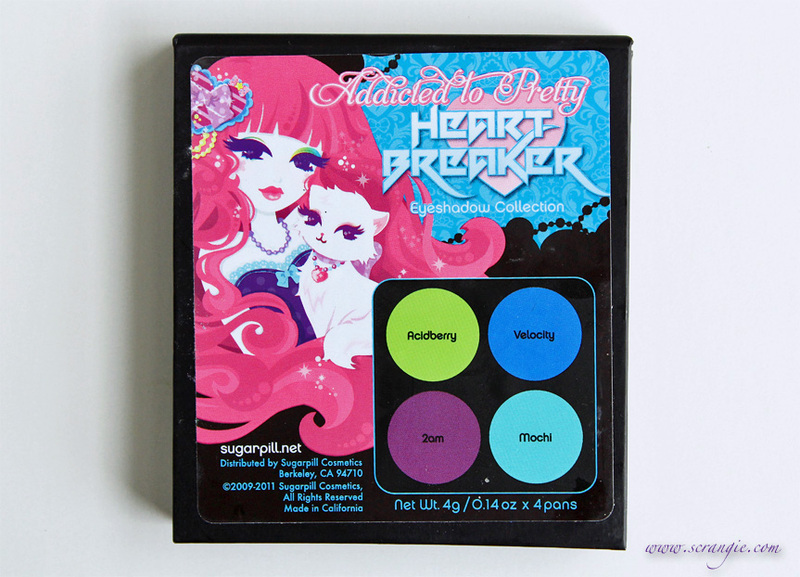 Was this palette better than sweet heart? I can't decide between the two. I think the texture on these is slightly better, but they're both awesome. I guess it just depends on which colors you see yourself using the most- can't beat the hot pink and white shades in Sweet Heart! This palette is slightly more subtle, but really... they're all worth owning. 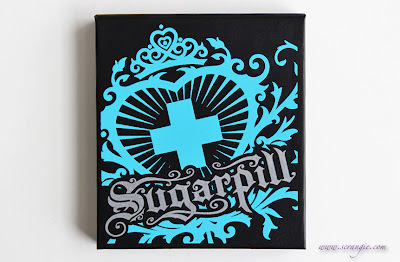 I love this Sugarpill palette. I have 3 now: Cold Heart, Sweet Heart and Heart Breaker. 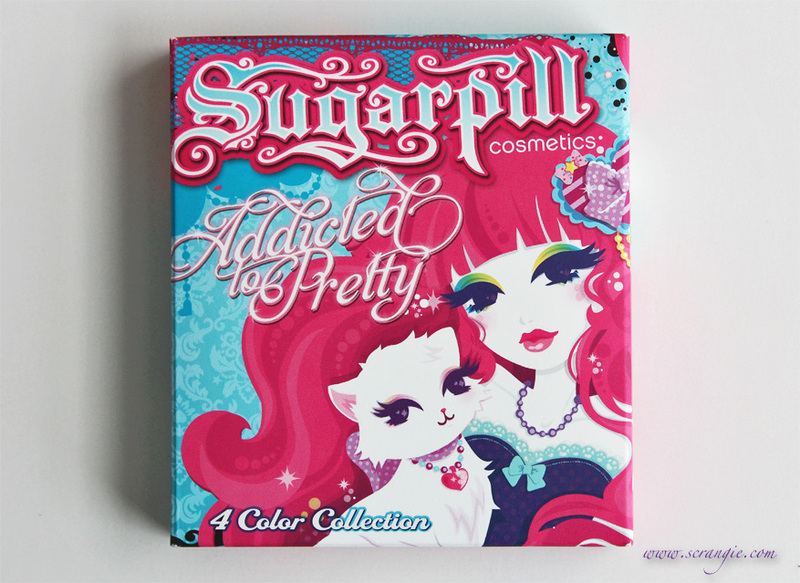 my gripe with sugarpill is that I wish the box art was on the palette itself. Especially this particular palette, the box art is just crazy gorgeous!